Sources have revealed that Amy Bishop Anderson, the University of Alabama biology professor who killed three faculty members last week, was a "devotee" of the so-called game known as Dungeons & Dragons. Anderson, in case you missed the story, shot and killed three of her colleagues and wounded three others at the University of Alabama on February 12. The reason for the shooting remains unclear, although the fact that Anderson was denied tenure at the university is widely presumed to be the major factor, and in the wake of her arrest it was revealed that she had been involved in several violent incidents in the past, going as far back as 1986, when she shot her teenage brother to death with a shotgun. But the investigative masterminds at BostonHerald.com have unearthed another, much darker potential influence: Amy Bishop Anderson played Dungeons & Dragons. Anderson actually met her future husband, James Anderson, through the D&D club at Northeastern University, where both were "heavily" into the game, according to an anonymous source. "They even acted this crap out," the source claimed. Her husband, naturally, attempted to deny his connection to the "egghead escape," describing it as merely a "passing interest." "It was a social thing more than anything else," he claimed. "It's not the crazy group people think they are." But as the Herald pointed out, Anderson isn't the only D&D aficionado to go on a murderous rampage: In 2000, Michael McDermott, another known player, killed seven of his co-workers at Edgewater Technology. Police in that case seized two Dungeons & Dragons books from his apartment following his arrest. Coincidentally - or not - McDermott also studied at Northeastern University in the late 80s, although Anderson insisted the two never actually met. 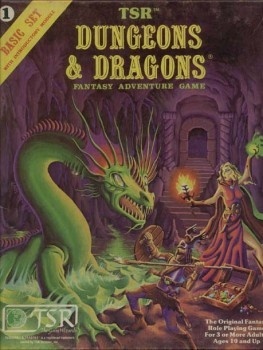 The article notes that Dungeons & Dragons has a "long history of controversy," with many people objecting to its "demonic and violent elements." While there are those who claim it's just a game, some experts have pointed out that an interest in the game has been noted among some people who have gone on to commit violent crimes; a federal appeals court also recently upheld a ban on the game in prisons in Wisconsin after officials testified that they were worried the game could cause "hostility, violence and escape behavior." At least one observer also expressed concern that Dungeons & Dragons is a "gateway game" that could lead people to play the infinitely more dangerous Mazes and Monsters, the game that famously drove Tom Hanks irretrievably insane in 1982.